Hotel Zanhotel Il Canale, Bologna. 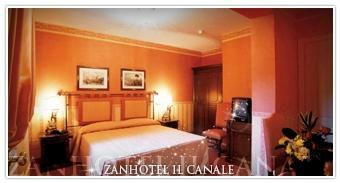 Zanhotel Il Canale Hotel Bologna. Are you looking for a very central hotel, provided with every possible comfort, perfect for the business clientele that have to quickly move and reach the Fair of Bologna? Zanhotel Il Canale is the perfect solution for you: 3-star welcoming and modern structure, near Piazza Maggiore, which places at your disposal spacious rooms furnished with every modern comfort, available both for smoking and non-smoking, and which can welcome also disabled people. The spacious common areas are perfect oasis for your relax: from the lobby in the hall equipped with an internet point, to our little splendid patio, the ideal place where you can rest after a busy day. The very central situation of the structure will allow you not just to find a cosy parking at 200 metres from the hotel with several car spaces (on a fee), but also to quickly reach the Fair, visit all the monuments of this very rich and precious city, as well as to go in one of the numerous restaurant of the area.